First thing’s first: my feet hurt like you wouldn’t believe. I’ve been standing and walking all day long in non-supportive flip flops while cooking. My back’s also killing me a bit – signs of getting old?? Anyway, my parents have been down in Atlanta this weekend at a wedding, and this is the first time ever that my brother and I have been left alone for a prolonged period of time in the house. Since I don’t work Sundays, and I didn’t feel like spending my morning at the gym (though I should have!) AAAAND my creativity is currently shot in the art department, I threw myself into cooking. 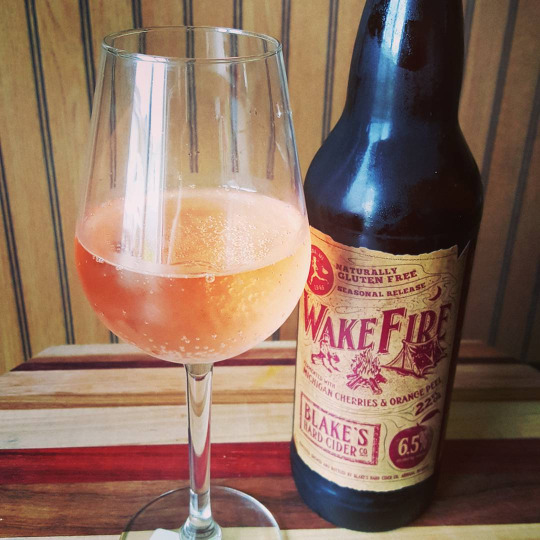 And drinking Blake’s Hard Cider, YOLO. I was not expecting a pleasant pinky-peach color. 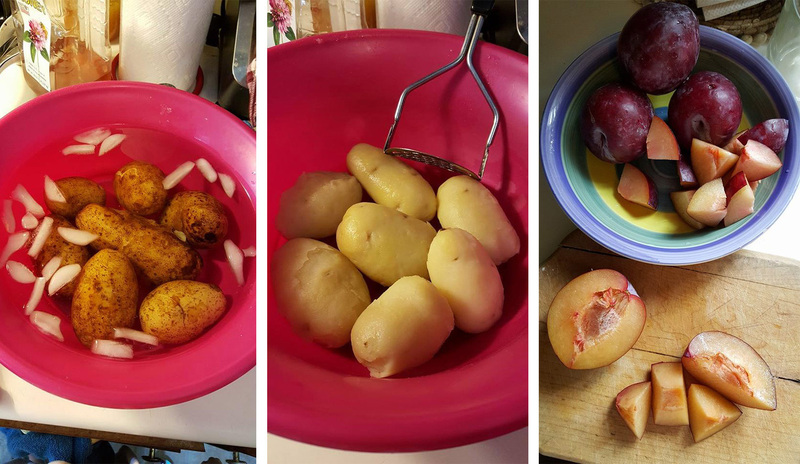 It started out with deciding I was going to make Romanian plum dumplings (galueste cu prune). It’s a fairly easy recipe, and I found a recipe I liked. Since it begins by boiling potatoes, I did that – but I didn’t boil them well enough. Ensue frustration and annoyance at my impatience. I was going to throw them away and feel guilty, but then I made a snap decision to save them and make a casserole/cheese melt thing. 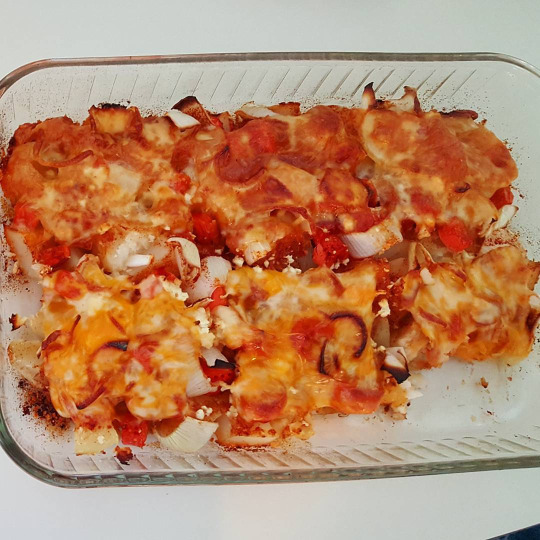 SUPER easy: I took the mildly boiled potatoes, chopped up 2 onions and 3 carrots, topped off with seasoned salt, paprika & garlic powder, feta cheese, Parmesan cheese, and then laid Muenster and Colby Jack cheese slices on top cause I didn’t have shredded cheddar and couldn’t go grab some (had other stuff cooking!). Baked this at 385 degrees Fahrenheit for about 40 minutes. It turned out really good, but I think the potatoes could’ve used more salt. Meanwhile, I had to boil another batch of potatoes. This time it went great. I was able ice bath the skins off and then mash them with a handheld mixer (+ 1 egg, + 50g butter) and then add in the flour (375g) and kneed the dough along. Afterwards, I cut up 5 plums into 12 pieces each, which ended up being excessive and made my third dish of the night, spiced plums. 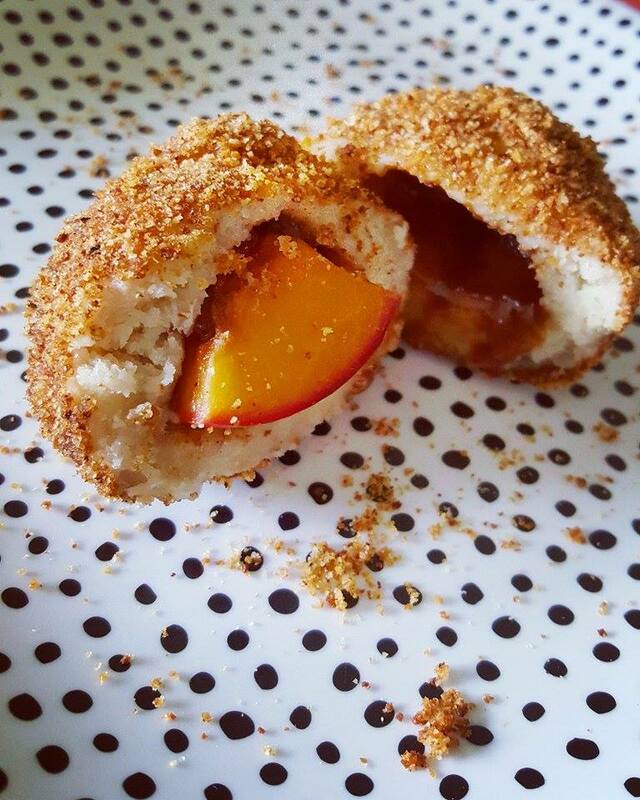 I rolled out the dough and cup it up into palm sized sections, stuffed a piece of plum in along with 1/2 a teaspoon of sugar + cinnamon + cloves + cardamom, and pinched each shut and rolled them around until they were circular. Then came the boiling bath – I had to do it in two batches cause they were so big and so many. While they were boiling, I fried some plain breadcrumbs and EVOO in a pan and moved it to a big bowl. 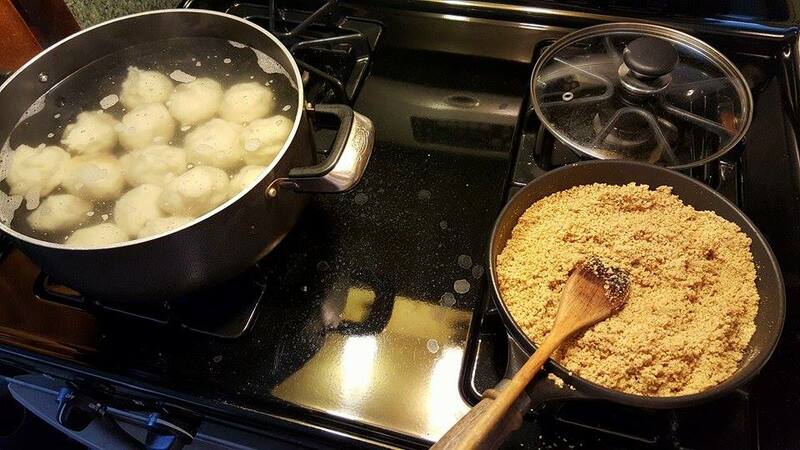 After the dumplings were done boiling, I strained them and then stuck them in the breadcrumbs and rolled them around. VOILA! Oh, and the spiced plums? Super easy. 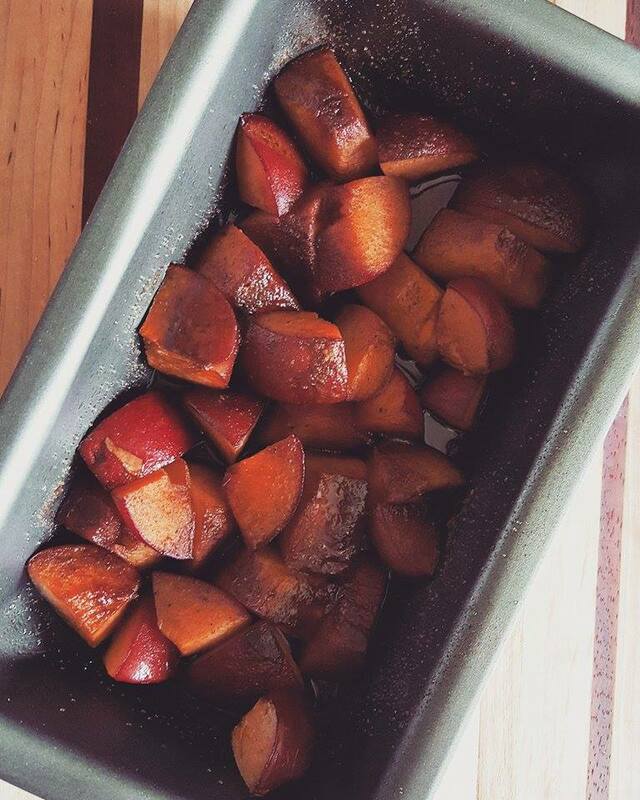 Spray oiled a small baking dish, dumped the rest of the plums in there and topped them off with the remaining sugar + spice (and everything nice) mixture, sprayed with oil, and then baked for about 25-30 minutes at 350 F. The sugar mixture became kind of like a spiced glaze. So good. Oh, and all of these pictures were taken with my Samsung Galaxy Note 5. I was too lazy to mess with my Nikon today – partly because my fingers were sticky with dough and other ingredients for 6 hours straight. But I will say that I’m REALLY enjoying this phone’s camera and I’m so glad I decided to go with it rather than my initial intention of the Galaxy s6. The camera really sold me in store, and it excels IRL too.